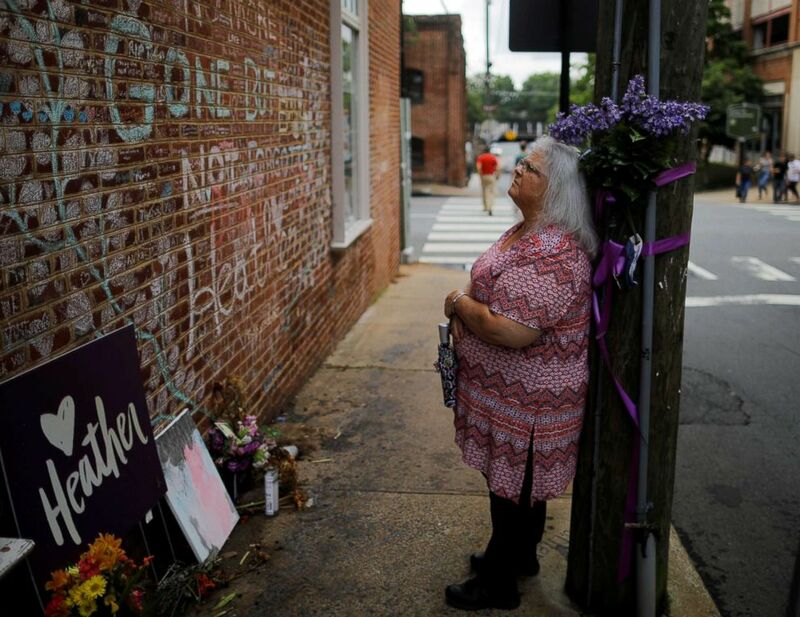 Susan Bro, mother of Heather Heyer, who was killed during the August 2017 white nationalist rally in Charlottesville, stands at the memorial at the site where her daughter was killed in Charlottesville, Virginia, July 31, 2018. 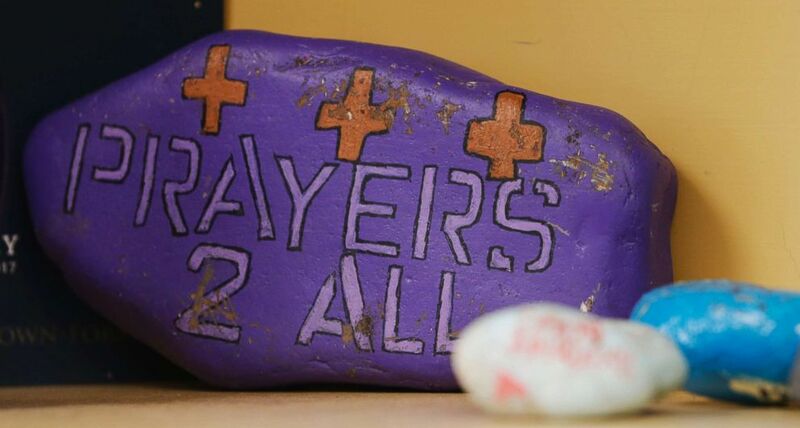 Some of the memorabilia that honors the life of Heather Heyer, who was killed during the Unite the Right rally last year, is seen in Susan Bro's office, her mother, in Charlottesville, Va., Aug. 6, 2018. They “crave silence or violence,” she said. Instead, she’s calling for loud, non-violent resistance.